AbbysAttic's booth, featuring 203 items, including RS Prussia Chocolate Set Pot Lid 4 Cups Pink Floral, JKW Josef Kuba Wiesau Coffee Set Silver over Porcelain, Theo Haviland France Schleiger 346A Large Platter w/ Well, Theodore Haviland France Schleiger 346A Round Covered Bowl, Danskin Tights Style 72 Ballet Pink Size A NIP, Guerlain Shalimar Paris 1981 Goldtone Refillable with EDT, Royal Doulton Eastern Blue Bird Fledglings HN137, Philosophy Miracle Worker Anti-Aging Retinoid Pads and Solution 60 pads, Howard Pierce Pigeons Doves Porcelain 1950s Brown over White, Royal Doulton Baltimore Oriole K29 19402, Bare Escentuals Light Stroke Fan Brush New Sealed, Bare Minerals Precision Eye Defining Brush Pearl Collection , Bare Escentuals Minerals Angled Blush Brush New, Bare Escentuals Minerals Flawless Fan Brush Pearl Collection, Mikasa Linear Candleholders Pair Crystal 3.5 inches tall, Haviland Limoges Poppy Bread Butter Plate 6.5, Bare Escentuals Double Ended Precision Eye Brush New Sealed, Bare Escentuals Soft Focus Eyeshadow Brush New Sealed, Bare Escentuals Minerals Flawless Face Brush Luxury Collection Gold Handle, Bare Escentuals Angled Face Brush New Sealed, Ice Skating Artwork by Sally Huss, Susan Bates Silvalume Stitch Holder 2.5 inch New, Bare Escentuals Double Ended Long Tapered Shadow Liner Brush, Philosophy Hands of Hope 12 ml Sample tube New. 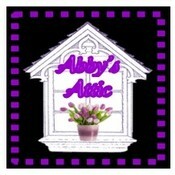 A notification has been sent to AbbysAttic about your wish to chat with them. If they are available, they should be around within 5-10 minutes.